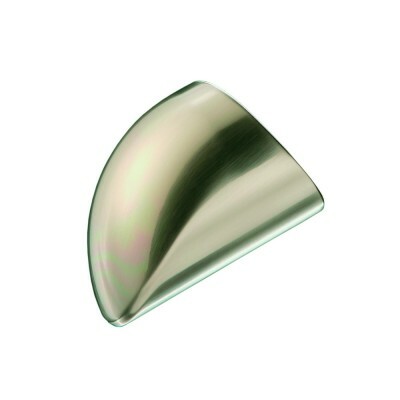 Brushed nickel plated Fusion handrail end cap. This premium quality connector by Richard Burbidge provides an attractive finish for the ends of Fusion wall-mounted handrails. To fit, just place the cap over the end of the handrail and fasten in place with two fixing screws (supplied). For use with Fusion handrails only. Please note: Two end caps are included in the Fusion boxed handrail kit.